Search engine optimization remains one of the most important concepts in the world of organic traffic. While brands can pony up the dough and pay for ad buys on social media and search engines, SEO helps drive organic traffic to websites at little to no cost. By ranking more prominently in search engine results page, you have a better chance of attracting more visitors. Social media does not directly impact SEO, as search engines do not generally analyze links from sites like Twitter and Facebook in determining site or brand quality. There are ways that social media can still help improve your SEO indirectly, however. Today, we’ll touch on a few of the potential ways social media can boost your SEO performance. While links generated or earned on social media do not directly impact your SEO potential, looking at the bigger picture shows some potential opportunities. One of these opportunities involves earning backlinks, which is one major component of boosting long-term SEO standing. The concept is simple: the more people who see your content on social media, the more it gets shared. As you earn more shares, more influencers and potential brand managers will see your content. If it is relevant to their niches, at least a few will likely share your content in their blogs and on their websites. With more websites pinging URLs back to you, search engines take note and view your website with increased authority and trustworthiness. Social media is awesome for many things, but perhaps most notable is its ability to expand an audience’s awareness of a particular brand. In order to do well in many SERPs, you need to have a solid SEO foundation. In other results. However, brand recognition can play a huge role. If social media users or fans of a particular page recall seeing your brand linked to or mentioned in their feeds, they are more likely to search specifically for your brand via Google and other search engines in the future. This kind of organic traffic is ideal and results in minimal competition in most niches, meaning that any brand-specific searches are likely to result in most traffic coming your way. Ask yourself: why am I pursuing a SEO strategy? The most common answer is to increase traffic to your website or blog. Fundamentally, most brands wouldn’t care if they’re the top-ranking result in a SERP if it means no new traffic is coming their way. As such, traffic is the final goal of a successful SEO strategy. With social media, you’re able to generate copious amounts of organic and/or paid traffic when you use it properly. Many brands have opted to ditch SEO entirely and are instead pursuing social media-exclusive approaches in pushing traffic to their websites. While a diversified approach to traffic tends to be the best strategy, pinging URLs on social media can help generate the same end result you’re looking for from SEO. While SEO is mostly independent of social media, there are numerous SEO benefits that can be generated through it. Whether you’re earning backlinks from people pinging URLs back to your site, building stronger brand awareness for future searches or simply emulating the traffic-building components that social media can offer, there are plenty of reasons to use social media today. Great article. Google doesn’t agree but Social Media improves SEO without any doubts. Backlinks on social media accounts are a good start for new websites, they are effective even though they are no-follow links. 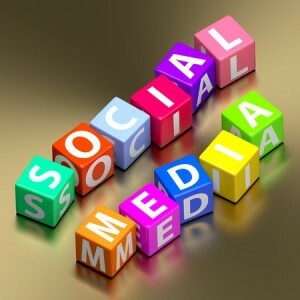 I have also noticed that social signals help links and backlinks getting indexed, especially Google+ and Twitter.